Who's Afraid of Virginia Woolf? | All Tickets Inc.
All Tickets Inc. > Shows > Shows > Celebrities > Who’s Afraid of Virginia Woolf? 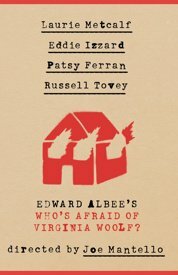 Home » Show » Who’s Afraid of Virginia Woolf?